Finally India’s new government has managed to ban beef in two states – Maharastra and Hariyana. 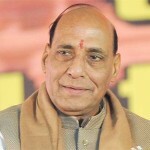 Noticeably, there are people who have expressed their dislike on the ban due to their political, industrial or other vested interest, but that does not, in any way, change the fact that a ban on beef and cow slaughter can undoubtedly be a welcome news for all civilized human beings. It is not only about religion that ban on beef should have been legislated decades back. To say the truth, it is a shame that an act like cow slaughter needs a ban in a cultured country like India. In other words, a civilized society shouldn’t engage in killing and eating animals, not to speak of cows whose milk they drink and make living out of! Cows are a wonder animal in all respects including for healthy environment on the planet. 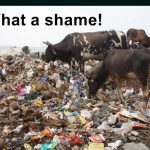 Hundreds of research papers have been published by environmentalists, researchers and religionists showing how important cows are for a healthy planet. The recently published article on Mayapur Voice sheds more light on cows’ role in creating and maintaining a self-sustainable, hygienic environment. Ban on beef is not a new concept for the BJP government. It has been there since last 20 or more years. But it is to the credit of Narendra Modi’s majority government that ban on beef has now been materialized, at least, in two states. What remains to be seen is how effectively the ban is implemented, and how many more states become fortunate enough to join these states. There are other states in India, like Gujarat, Madhya pradesh, etc. where ban on cow slaughter is already in place but the implementation of such laws raises questions. It is outright ridiculous and proof of ignorance that some people have written articles and given opinions on how ban on beef can be harmful. They have no idea that the nature has it all worked out and that there is no question of over population of even human beings. If their concern is about the industry and employment, I would say they need to cultivate appropriate intelligence for them to be able to think of better ways to tackle those never-ending issues. 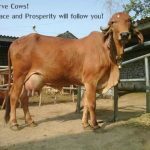 Not to speak of ban on beef, before a few thousand years when our planet was ruled by saintly kings like King Parikshit, there was no question of even hurting a cow, and yet all that was there was prosperity and peace. Only people with contaminated intelligence can think of drawbacks of not killing cows. The “Preservation, protection and improvement of stock and prevention of animal diseases, veterinary training and practice” is Entry 15 of the State List of the Seventh Schedule of the Constitution, meaning that State Legislatures have exclusive powers to legislate the prevention of slaughter and preservation of cattle. The prohibition of cow slaughter is also one of the Directive Principles of State Policy contained in Article 48 of the Constitution. It reads, “The State shall endeavour to organise agriculture and animal husbandry on modern and scientific lines and shall, in particular, take steps for preserving and improving the breeds, and prohibiting the slaughter of cows and calves and other milch and draught cattle.” Several State Governments and Union Territories (UTs) have enacted cattle preservation laws in one form or the other. 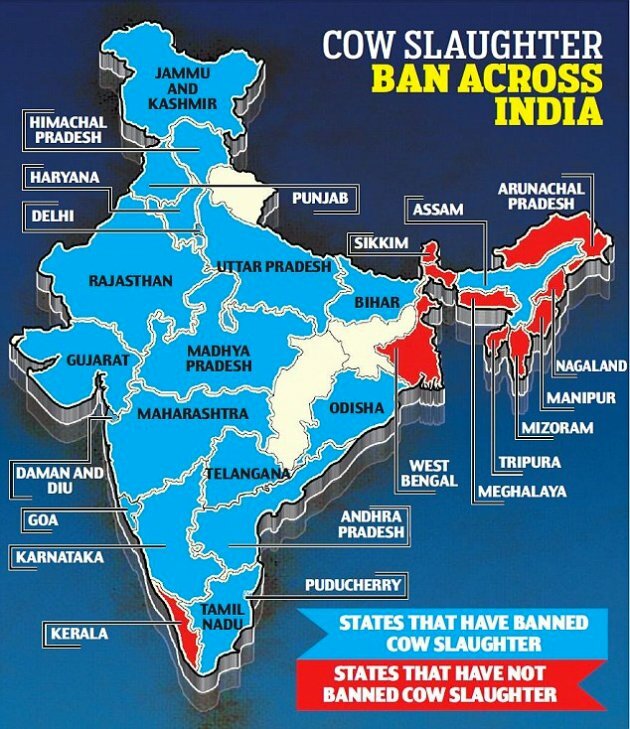 Arunachal Pradesh, Kerala, Meghalaya, Mizoram, Nagaland, Tripura and Lakshadweep have no legislation. All other states/UTs have enacted legislation to prevent the slaughter of cow and its progeny. Kerala is a major consumer of beef and has no regulation on the slaughter of cow and its progeny. 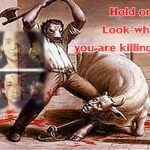 As a result, cattle is regularly smuggled into Kerala from the neighbouring States of Tamil Nadu, Karnataka and Andhra Pradesh, for the purpose of slaughter. However, there are plenty of loopholes in the laws coupled with unwillingness on the part of the state governments to enforce them. This results in a situation wherein people hardly know that there is a ban on beef and cow slaughter in their state. “My Lord, You are the well-wisher of the cows and the brahmanas, and You are the well-wisher of the entire human society and world.” (Vishnu Purana 1.19.65) The purport is that special mention is given in that prayer for the protection of the cows and the brahmanas. Brahmanas are the symbol of spiritual education, and cows are the symbol of the most valuable food; these two living creatures, the brähmaëas and the cows, must be given all protection—that is real advancement of civilization. In modern human society, spiritual knowledge is neglected, and cow killing is encouraged. It is to be understood, then, that human society is advancing in the wrong direction and is clearing the path to its own condemnation. A civilization which guides the citizens to become animals in their next lives is certainly not a human civilization. The present human civilization is, of course, grossly misled by the modes of passion and ignorance. It is a very dangerous age, and all nations should take care to provide the easiest process, Kåñëa consciousness, to save humanity from the greatest danger. The Haryana Government has imposed a complete ban on the sale of beef in any form and proposed to provide for 10 years rigorous imprisonment for cow slaughter, but ruled out equating it with murder. The move comes days after another BJP-ruled state Maharashtra banned sale and consumption of beef and imposed a five-year jail term for cow slaughter. 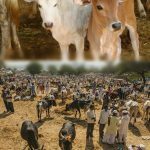 “There is a proposal to set up cow reserves for these 1.5 lakh stray cows for which land is being identified. The cow reserves or sanctuaries would be set up in any district of the state adjoining Rajasthan,” he added.